Hey kids, LMD here, it’s been far too long since we’ve been so graced with words from our contributor emeritus, Ms. Dollie Banner. 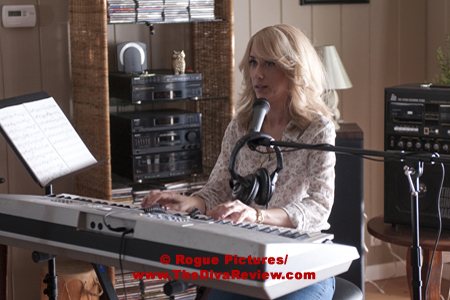 Dollie has done us all the great solid of sharing her brilliant thoughts on the latest Saturday Night Live sketch to become a feature film, MacGruber. 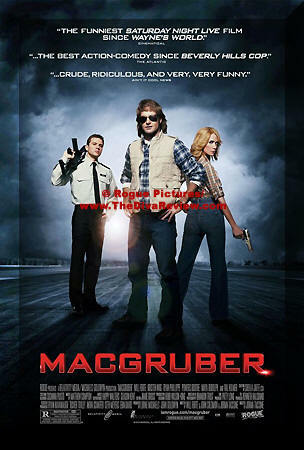 MACGRUBER...wasn't totally fantastic, but it was pretty funny! 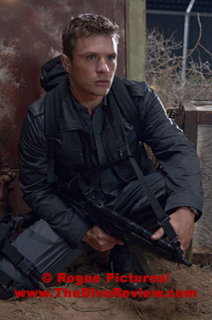 MACGRUBER...Never thought I'd say this, but Ryan Phillippe is too straight to play the straight man! 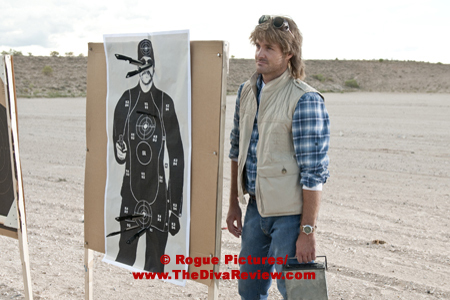 MACGRUBER...I really wish that Chris Jericho had more than just two scenes. It would have been a better movie! MACGRUBER!!!! I've heard a lot of people snickering when they learned Lorne Michaels & Co. were turning one of Saturday Night Live's shortest skits into a feature film, but I had faith. As an unabashed MacGruber fan, I was confident that the edge and wit that characterizes the sketches would translate from 90 seconds into 90 minutes beautifully. The end result is somewhere in the middle, neither horrible blunder nor blazing success. 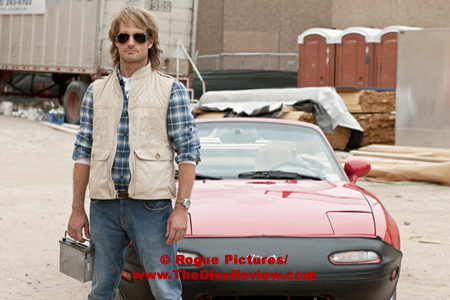 MacGruber the movie is entertaining, silly and a bit gross, but lacking any really original or hilarious moments. For those not indoctrinated, SNL regular Will Forte plays MacGruber, a MacGyver style government operative who uses whatever odd pieces at hand to thwart plots against his country and himself, but without the same rate of success as his counterpart. 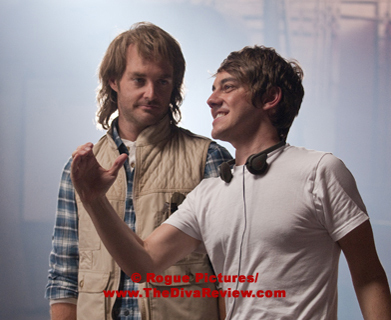 Writers Forte, John Solomon and director Jorma Taccone obviously couldn't script MacGruber diffusing the same bombs over and over, so they opted for the tried and true action film parody. 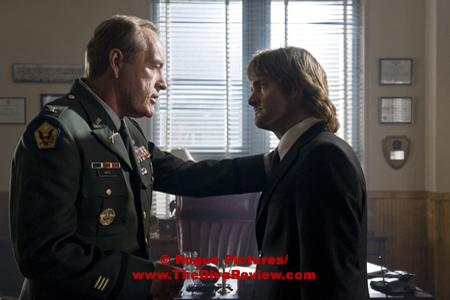 Colonel James Faith (Powers Boothe, love that guy) convinces MacGruber to take on one last mission after a decade-long hiatus when a nuclear warhead is believed to be in the possession of Dieter Von Cunth (Val Kilmer), the man who killed MacG's bride (Mya Rudolph). 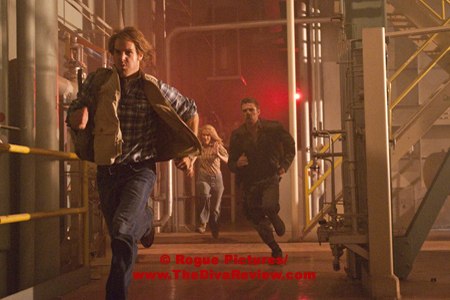 Desperate for revenge, MacGruber dusts off his mullet and his sports-car to team up with former ally Vicki St. Elmo (Kristen Wiig) and rookie agent Lt. Dixon Piper (Phillippe - see theme song) in a bid to foil Cunth's plan to launch the warhead on Washington DC. Hilarity ensues or it would have if all the money hadn't been bet on the title character. While MacGruber's self-absorption and ineptness make for quite a few chuckles, the other characters come off far too serious. 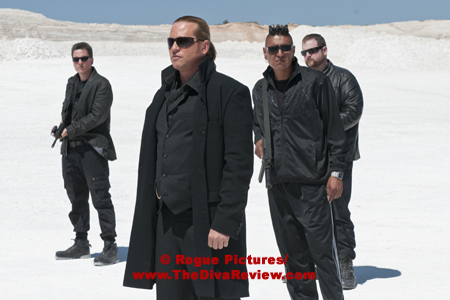 How can you cast Kilmer as the villain and not let him loose to chew up some scenery? Kilmer lets his ponytail do most of the work, which though effective, is a total shame. After 6 seasons together on SNL, Forte and Wiig have developed great chemistry, but Wiig's considerable comedic talents are underused here. It's easy to sit back and say that they should have made a funnier film, but one and a half humorous characters just isn't enough to carry the whole load. 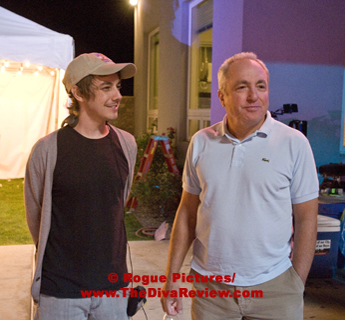 I'm sure when they make the Jackie Snad and Clancy T. Bacheratt movie it will be just perfect.